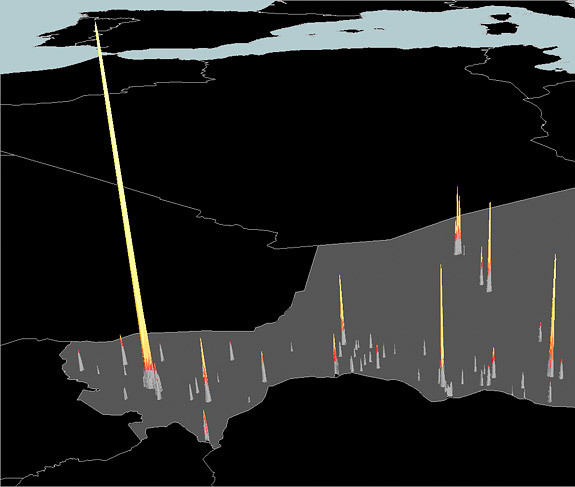 Some Princeton colleagues recently published a really fascinating study in which they are able to track the likely hotspots for disease epidemics through satellite imagery that observes the clustering of nighttime lights. During dry season months, people migrate to urban centers, and while living in highly concentrated areas, spread diseases such as measles and meningitis. Without such imagery, it can be difficult to track migration patterns, so this provides a unique lens and a potential early warning detection system for adjusting prevention and treatment efforts, particularly in resource scarce settings.